In the Triangle area, it seems like there is always something new to do. For an interesting break from visiting new restaurants, enjoying local fare, or talking walks on our beautiful greenways and trails, Wine and Design is a perfect place to be. This night out is ideal for a girls’ night, eclectic date night, or even for crafty folks. All are welcome to try their hand at painting their masterpieces! Wine and Design is also available as a “mobile” venue at select venues in the Triangle area throughout the month, as well as for reservation for larger parties or fundraisers. Clients at Wine and Design are provided with stretched canvases to paint on, cups and bottle openers, as well as the rest of the painting materials. All you need to bring is your favorite selection of wine or beer! There are different classes available throughout each month – such as pet portraits, landscapes, local artist showcases, and even “paint your own” events during which you can paint a photo of your choice! 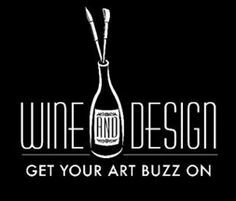 A full schedule of events is available on Wine and Design’s website – but reserve your space quickly and in advance! This popular night-out activity is gaining popularity! This entry was posted in Date Night, Things to do in Cary, Things to do in Raleigh, Things to do in Wake Forest and tagged cary, chapel hill, craft ideas, date night ideas, durham, girls night out, raleigh, things to do in the triangle, Triangle Area, wake forest, wine and design. Bookmark the permalink.